Event Description: IF YOU SEE THIS PSYCHO ON THE ROADS CALL THE POLICE!!! HE IS AN EXTREMELY VIOLENT, MURDEROUS PSYCHOPATH!!!! 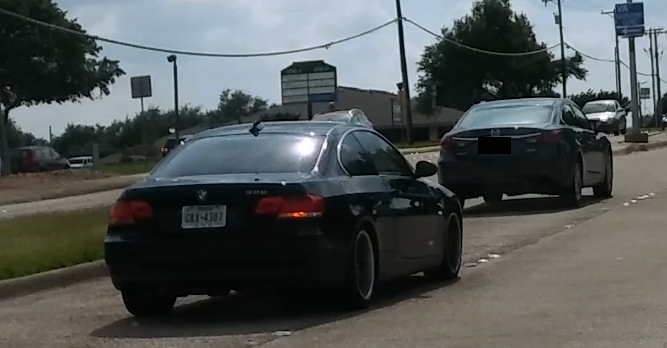 This lunatic almost RAMMED me and ripped off the front end of my vehicle at 15th Street and Hwy 75 by JERKING over into MY lane from the left ONLY turn lane, then HIT his brakes INCHES from my front bumper then went SPEEDING off down the road in heavy traffic!!!! This murderous psychopath was SPEEDING down 15th Street RIDING PEOPLES REAR BUMPERS, JERKING AND SWERVING IN AND OUT OF LANES, CUTTING OFF VEHICLES, SPED THROUGH A LIT SCHOOL ZONE, AND ALMOST RAMMED A VEHICLE BECAUSE THEY WERE GOING THE SPEED LIMIT!!! This DERANGED CRIMINAL was going at LEAST 60 mph in a 40 mph area! AGAIN, IF YOU SEE THIS PSYCHO, CALL THE POLICE!!!! HE IS DEADLY VIOLENT! He has NO regard for anyones life, property, safety, or the law!!! !